This is a fairly common mistake made by many drivers who don’t have a clue about reading traffic signs. Lots of drivers either enter the wrong street or start driving wrong-way due to their failure to read the traffic sign properly. It can be dangerous to enter into a one-way street, since you can be driving into oncoming traffic unknowingly and can cause an accident. One of the most common mistakes made by drivers is parking wrongly. Most drivers don’t know how to read the traffic signs for parking and end up getting a traffic ticket. In fact, studies have shown that an alarming number of traffic tickets are given to drivers due to their failure to park properly in the right space, which stems from the fact that they didn’t know what the traffic sign meant or they simply didn’t think it mattered. This is yet another mistake that a lot of drivers make when reading traffic signs. When merging into different lanes or getting off the highway, many drivers get confused and take the wrong turn or follow another car off the wrong exit. It can be frustrating and lead to unnecessary delays for the unfortunate driver, which is why it pays to learn how to properly read traffic signs. It may sound surprising but the number of times that drivers have misread traffic signs for speed is embarrassing to be honest. Almost every driver that has got a ticket is due to speeding in a no speeding area or driving over the speed limit in a no speeding zone. It is a fairly common occurrence and drivers really need to learn how to read traffic signs to avoid speeding. Some drivers are so bad at reading traffic signs that they simply don’t know when to stop at an intersection and therefore end up rear-ending the poor driver in front of them. It can be embarrassing and may cause the driver to face a potential law suit, which could all have been easily avoided if the driver paid attention to the traffic sign or actually understood what it meant. 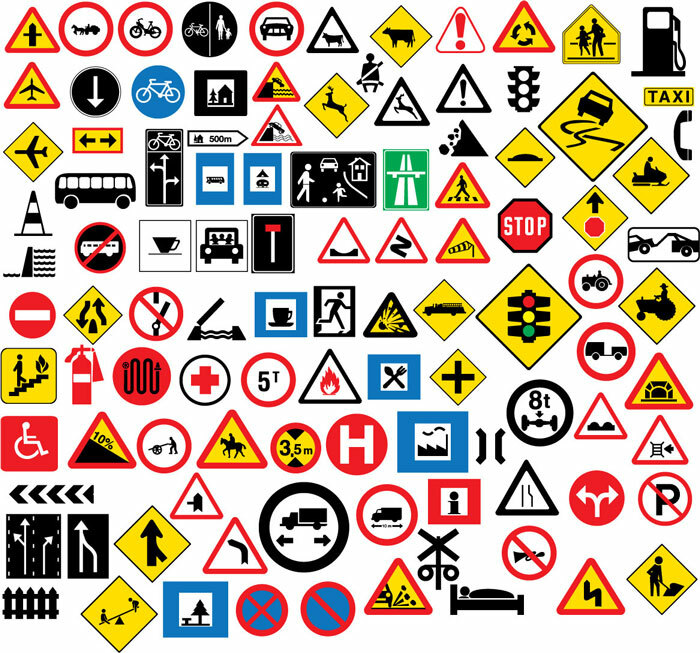 There are traffic signs placed on nearly every single road and intersection, and although they can be confusing to keep track of, every good driver should know how to read traffic signs properly for their own safety as well as the safety of other drivers.